← Weekly Updates: I Am Not the Fallen. Single Review: The Saturdays – "Work"
Since almost a year ago, I’ve came across of these wonderful British gals, I’ve known that they’ll be massive in no time. After almost a year, the five beautiful girls from London already has 4 top 10 singles and a massive debut album that placed competition between Girls Aloud and Sugababes. Now they’re ready to release their fiercest song yet, “Work”. Which probably should’ve been released earlier. Even though the song’s quite been played on my playlist myriad times, I can’t seem to think or feel getting over it. “Work” is the fifth official single released by the group, and fourth coming from their debut album “Chasing Lights”. 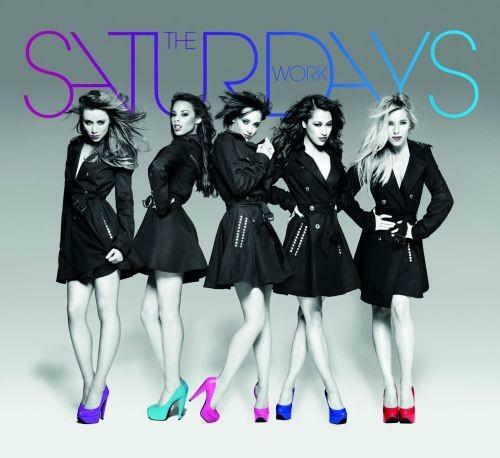 It’s a sassy electro pop song that just makes every bit of the Saturdays’ enticing. Nifty, intelligently crafted pop record that could be placed on track listings of todays’ top pop artists such as Beyonce and Rihanna. Although this quite has been overheard from the girls’ debut album, it’s still a staggering pop record that could go atop but is still in hesitance of missing the much coveted number 1 spot because of stronger competitions. So far, it’s still below par but it’ll surely make its way creeping inside the top 10 in no time. The five girls are not all from London, one of them is from Ireland. And "Work" is the fifth single from the "Chasing Lights" album not the fourth. The original version of CHASING LIGHTS which I have doesn't have the song "Just Can't Get Enough" on it. I'm sure that "JCGE" was added on the re-issued version of the album and was released as a charity single. The girls were formed in London right? Not in Ireland.